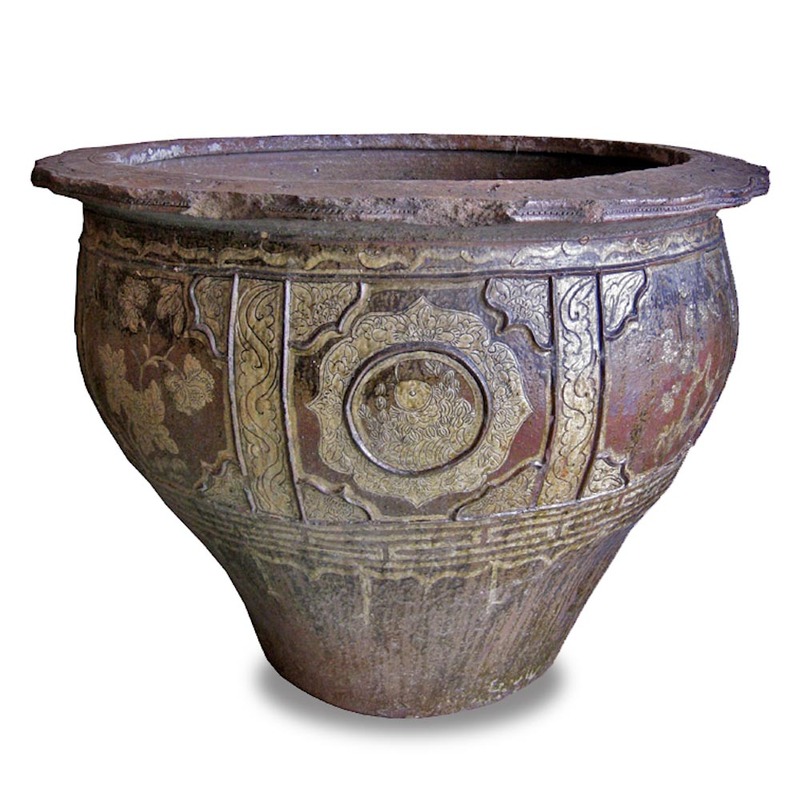 This huge Qing Dynasty handmade water storage clay jar interests me for its beautiful design. A more common Chinese water storage jar would be created with a proportionally much wider bottom for the purpose of stability. However, the owner of this jar in ancient time who had this pot created with such a beautiful shape, contrary to what would have been ordinary, obviously was concerned with aesthetics more than anything as we all know how difficult and costly it is to fire a very large pot. It often involves many tries. This pot at its size was created in a perfect and well balanced shape and is very stable. This jar is decorated with flowers from the four seasons, representing the aspect of Chinese culture co-existing with and indulging in nature. It also is decorated with various carp and catfish design representing plentiful-ness or abundance. The gradually inwardly thickened and textured rim in petal shape is a wonderful touch to the hands as it feels very differently from the more generically molded pottery. Inside the jar, one can see how glaze was applied in a swirling moving pattern.